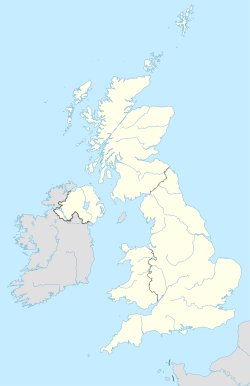 The WD postcode area, also known as the Watford postcode area, is a group of eleven postcode districts in England, which are subdivisions of seven post towns. These postcode districts mostly cover south-west Hertfordshire, plus very small parts of Buckinghamshire and Greater London. The main sorting office is at the Home Counties North Mail Centre in Hemel Hempstead, having been at the Watford Mail Centre until its closure in 2011. The area covered includes all of the borough of Watford, most of the Three Rivers district, the western part of the Hertsmere district and small parts of the Dacorum and St Albans districts. WD3 also covers the village of Chenies in the Chiltern district of Buckinghamshire, as well as the north-western extremity of Greater London - a small and mostly unpopulated protrusion of Harefield in the London Borough of Hillingdon. In September 2000 districts WD17-19 and WD23-25 were created from the recoding of the WD1 and WD2 districts. BUSHEY is a new post town; having previously been part of the WD2 district of WATFORD. This was due to postcode exhaustion of WD1 and WD2  Another reason for the postcode revision was the old WD2 area included Bushey with North Watford. Bushey was to all intents a section of Watford sorting office; up until 2000, all mail for WD2 was cut and tipped at Watford office. In order to change this, new codes were created to enable direct bags to be opened at Bushey delivery office. Local union reps claimed that the reason Bushey Delivery Office was included with Watford was so Watford postal workers would attract outer London weighting, since Bushey was in the London Metropolitan Police area at the time. Bushey was created as a post town so that the Bushey Delivery Office could directly receive bags of mail. Up until this point, all mailbags for the old WD2 postcode area, which included Bushey and North Watford, were cut and tipped at Watford Mail Centre. At one point during the 1970s, the night sorting was done at Watford and then delivered by van during the small hours. One reason for this long-winded procedure was to ensure that Watford postal workers received London weighting payments, as Bushey was in the London Metropolitan Police area at the time. WD postcode area map, showing postcode districts in red and post towns in grey text, with links to nearby AL, EN, HA, HP, NW, SL and UB postcode areas. ^ "Strikes 'ruled out' after Royal Mail closes Watford depot". Watford Observer. Retrieved 22 April 2018.